Direct Flooring offers expert guidance when it comes to choosing the right hardwood flooring and installation methods. Learn the tips to having your hardwood flooring properly acclimated during installation and tips for maximum life of your hardwood floors. Wood is extremely sensitive to climate and moisture when being stored, shipped or installed. Keeping wood acclimated will allow the hardwood to reach equilibrium with the surrounding air. Shrinking, cupping, or crowning can occur when the moisture content of the floor changes. Wood is most stable when relative humidity and air temperature remains stable. The ideal moisture content for wood when being installed is 6%-9%. Moisture levels vary greatly between coastal areas and desert conditions and are often vary between summer and winter. Therefore, it is important for flooring to acclimate to the environment prior, during and even post installation. Homes sold and not occupied also must maintain a stable humidity level of 35% to 55% until the homes are occupied by residents. It is paramount for new residents to maintain proper humidity levels in the house after they move in to avoid issues like cupping, splitting, gapping or shrinkage. Step 1 – Once the floor is delivered, the moisture content should be confirmed. Acclimation is recommended to allow the wood to adapt to the specific relative humidity conditions where the flooring will be installed. This is only beneficial if the ambient condition of the space is the same as when the room will be in use. Step 2 – Specialized equipment is required to read the humidity and temperature levels of the wood and the room conditions and are logged just to make certain the conditions are right for installation. The numbers are documented to make sure the floors are ready for install and the wood has acclimated. Step 3 – Final readings are taken once the installation of the flooring is installed to document the woods moisture content has remained stable as well as the surrounding room conditions. It is important to maintain ideal conditions after the installation has taken place, otherwise cupping, buckling, crowning, gapping or shrinkage could occur. 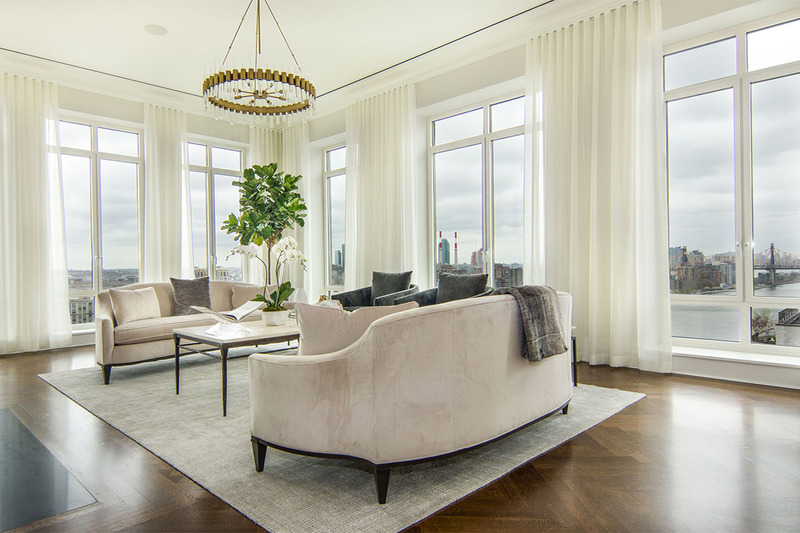 For larger communities with new construction or renovation to flooring, the homes need to be kept at a livable temperate climate (35% to 55% humidity) until the residence becomes occupied. Step 4 – For the homeowners – Each resident shall maintain proper humidity levels after the move into the home, condo or residence to avoid future issues. Overly wet or dry conditions will have an adverse effect of hardwood. Just like the doors that stick during a rain storm, installed flooring will expand and contract in extreme conditions for instance, too much heat in the home in the winter months and open windows in the summer months in overly humid and/or wet conditions. Step 5 – Product care should follow manufacturers recommendations. Mopping hardwood flooring with a mop is a no-no! Wood is never to be saturated during the cleaning process. There are products on the market that are safe for the environment, pets and hardwood floors all at the same time. When installing engineered hardwood over concrete, remember to always first test the moisture content of the concrete prior to installation. Direct flooring offers several different ways to test concrete for moisture. 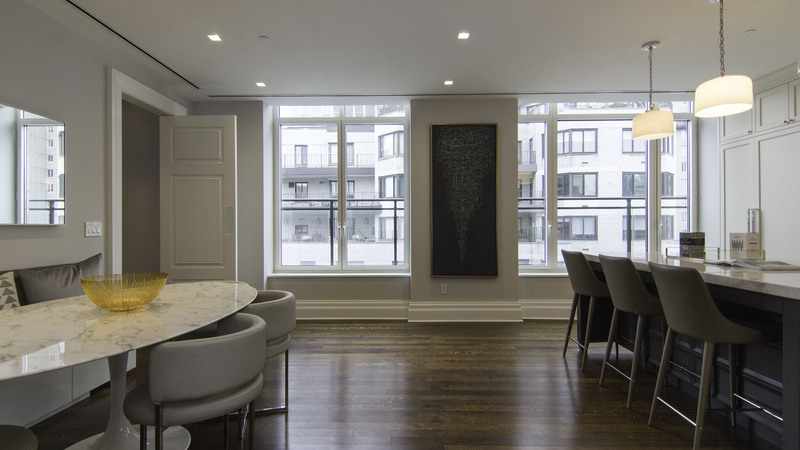 Choosing a flooring professional who have experience to make certain the proper steps are taken for each hardwood flooring project is paramount. Direct Flooring has systems in place to test the conditions during the delivery, acclimation and installation of your hardwood floors. 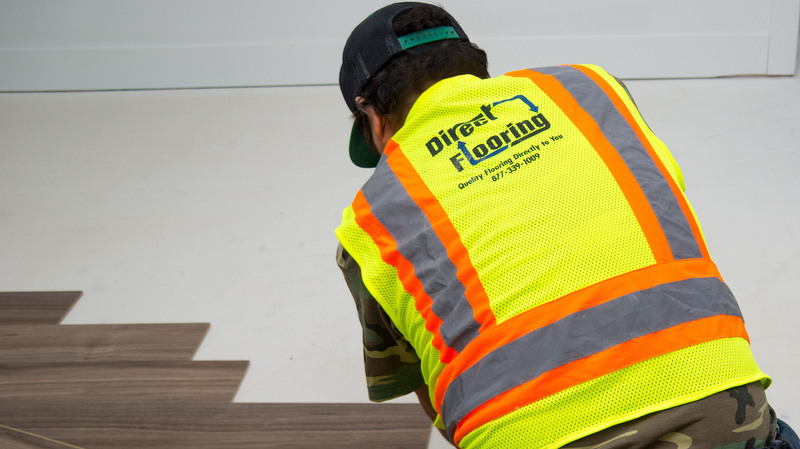 At Direct Flooring, we can also assist you in making smart choices based on location and wood species, style, and grain pattern as well as installation methods. Direct Flooring, Flemington, NJ has been a leader in the flooring industry since 2005. They offer all types of flooring from every corner of the globe. Direct Flooring can help you select the best products while tackling the most challenging installations. Our customer service is second to none. For more information, click www.directflooringmetro.com or call 908.237.1009 and speak with one of our flooring specialists. Direct Flooring is in Flemington, NJ and services all of NJ, New York City’s Metro area and Eastern PA.